Cake soiree birthday card sketch challenge. Here I am again with another project using the sweet soiree designer series paper. This is a very easy card to do. It is using the cake soiree stamp set which I have to say is truly gorgeous. This whole suite is truly gorgeous. I will be doing some projects with the rest very soon. So here's how you make it. Whisper White card stock 8 1\8" x 5 78"
Sweet soiree dsp 2 3\4" x 5 5\16"
Sweet soiree dsp 1 11\16" x 4 3\4"
Sweet soiree dsp 3 3\4" x 2"
Stamp on this the present stamp from cake soiree stamp set and colour in using marker's, blends or water colour pencils upper to you what you use. Add a sentiment to the bottom of the card and you have finished your birthday card. 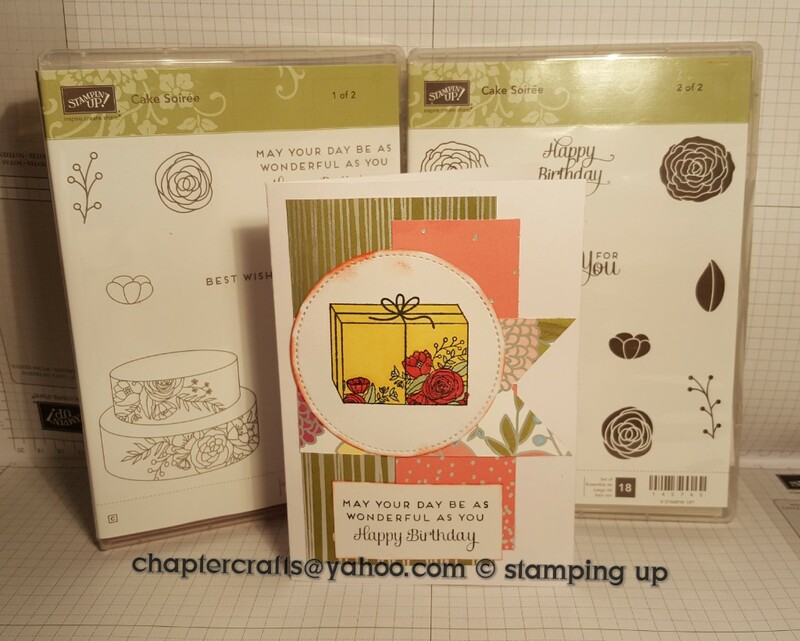 Labels: Cake soiree birthday card sketch challenge.